This gorgeous bouquet of red roses will make a wonderful classy surprise! Send this adorable bouquet of flowers to that special someone in Romania! 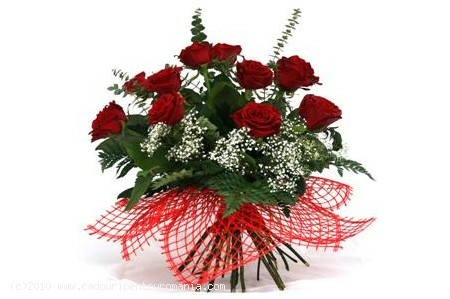 The beautiful flower bouquet contains fiery red delicate roses.